The French Elite League finals will kick off its best-of-five series this weekend with the first two games. 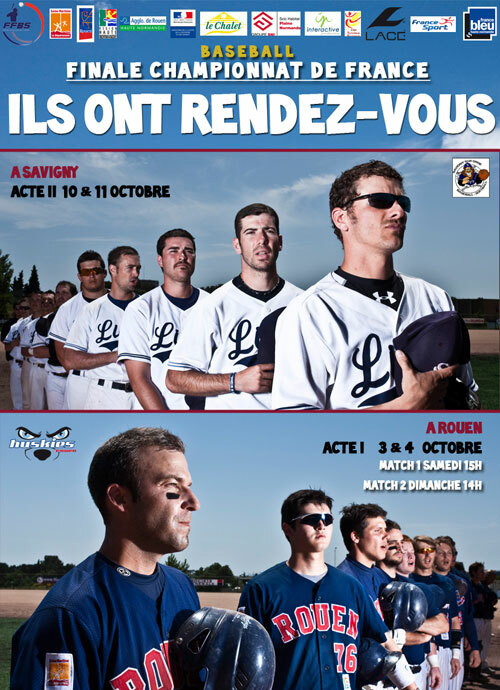 The ROUEN HUSKIES will take on the SAVIGNY LIONS. Both clubs will face each other for the third time in the French Finals after 2003 and 2005. The HUSKIES have won five French championships in the last six years, including the last four in a row. SAVIGNY captured the title in 2004. ROUEN finished the regular season this year in first place with a 25-3 record. SAVIGNY were in fourth with a 15-13 record. The LIONS heated up during the playoffs and took first with seven wins in nine games. The HUSKIES had the same record, but lost two of three against their finals opponent to settle for second.